Our open platform means you can come create all you want, for free. WebGL based, with both mesh and voxel based building tools. Come play for free! I wanted to do it for a long time already but didn’t find an easy way and the time to do it. Games are getting more and more professional. For this one, the graphics, the music and the gameplay have been well implemented and it is nice to see the progress of WebGL games. 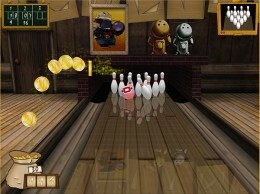 The game is a bowling game with extra features. I let you discover it. 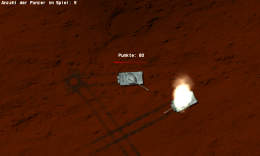 A tank game as been released by Carl-Philip Hänsch. For now I haven’t really far as I’m not really good driving a tank. I hope you will do better. Doom 3 going Gangnam Style ! After reaching the billion views on Youtube, Gangnam style keeps its conquest within the games. Doom 3 mobs can’t resist to show you there new style in a WebGl version. As his first Webgl project, Samir Solanki brings this simple WebGL Demo to study 3D graphics basic concepts, properties and operations. It comes with the standard 3D concepts of lighting mapping and movement. Originally written for Windows Phone, Bob Wood made it available directly in the Chrome Web Store. This Balloon Gunner game brings you inside a balloon and make you shoot at other balloon/ships/planes/… The gameplay is simple and except the mouse issue that we have in many fps, it is easy to play. The author mentioned that you can play it with 3D glasses (Red/Cyan). I haven’t tried but if you can please let me a comment on the result. 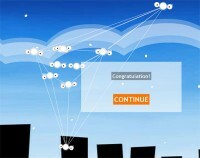 I think you already know that game… but now it is on html5. The graphics are nice, the gameplay is good and allows you to spend some nice time on it. I haven’t been until the end but got a lot of fun. 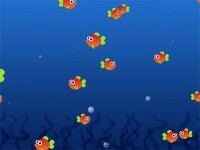 I think the developer (Ivan Kuckir) who already made few games has brought nice one here. Have fun. An independent developer (Ivan Kuckir) came with some simple but funny games to me. He needs reviews so don’t hesitate to contact him. The second one is the long story of the small fish who wants to be the big fish… How big will you become?